Willy Hicks’ key to longevity is his willingness to roll with the times. Despite being soaked in tradition, we’re a forward-thinking company that uses the very latest paving technology to perfection. Combining technology with a deeply personal service – certainly a throwback to times gone by – our business has continued to grow. It’s this that sets us apart, and one the whole company is passionate it. A personal service and quality in workmanship is what the company was built on. For the people and organizations of Virginia who want the best in durable, perfectly-laid and visually pleasing paving, there are few other options. It’s not just us who say this – there is a long list of past clients who are happy to agree. Proudly licensed as a Class A Contractor by the Board for Contractors, we’re the best in town. Willy Hicks started paving at a very young age. Every summer as a young man he would go to work with his uncle at his very successful paving company in northern Virginia and ride the machines, learning the trade. After he finished school he started to work for his uncle full time. With lessons in mind that he learned from his uncle, it wasn’t long until Hicks wanted to start his own successful paving company. 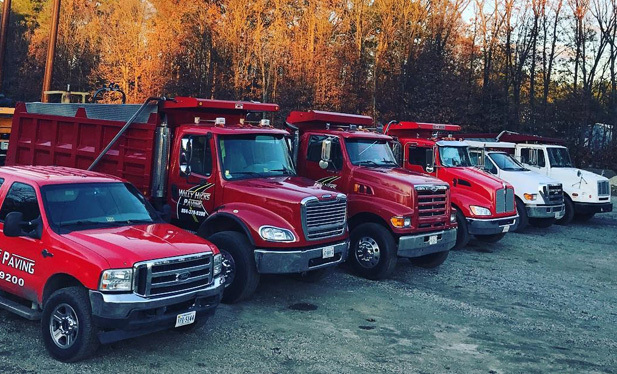 Since January 1991 Willy Hicks Paving has been providing Virginians with the smoothest most durable asphalt driveways, parking lots and private roads that satisfy the desires of even the most demanding home or business owners. For a company that cares and delivers on a promise, call Willy Hicks for any of your paving requirements.